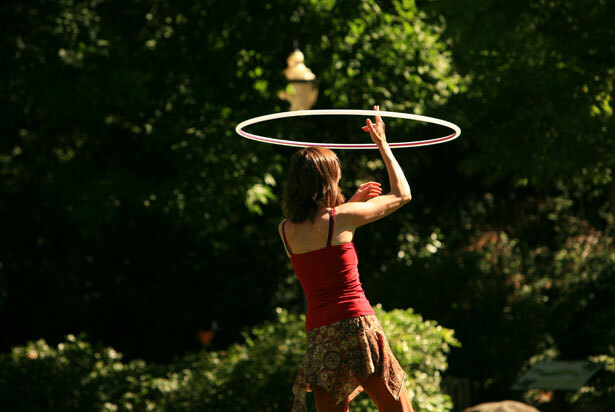 Hoopdancing is a wonderful avenue through which to explore and refine how we live in our bodies. 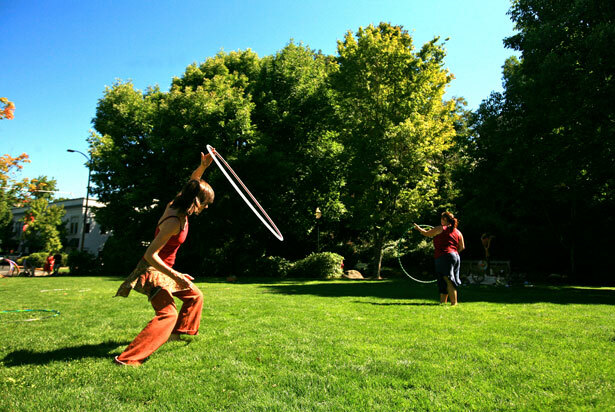 Learning to spin a hoop at hip or chest level opens a world of intricate exploration into how we use our pelvis and chest while remaining grounded between the earth and heavens as we move. 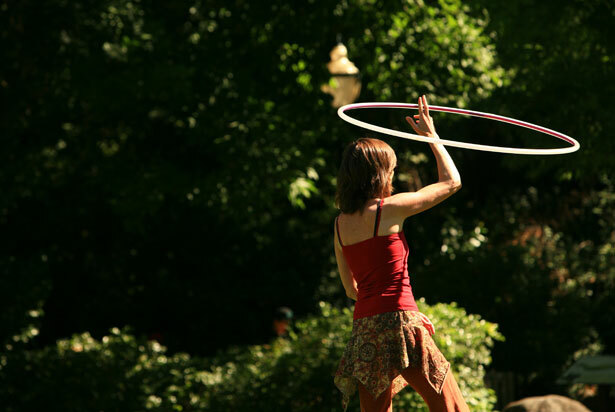 Hoopdancing increases body awareness and freedom of expression, strengthens core muscles, and invites play and creativity as we discover fun ways to partner with the sacred hoop. This class is open to adult learners and is specifically designed for bodies that are feeling signs of aging. 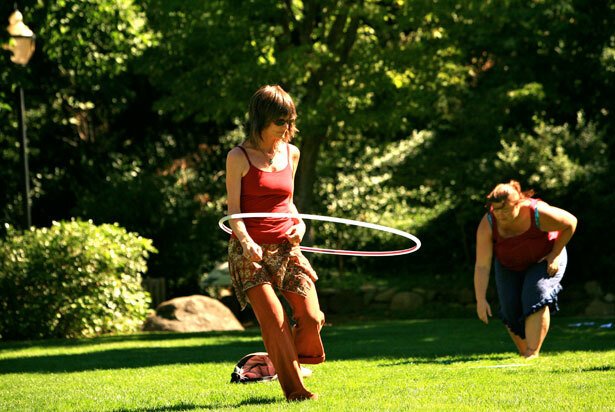 Introductory on and off-body hoop technique is blended with investigations in expressive dance. 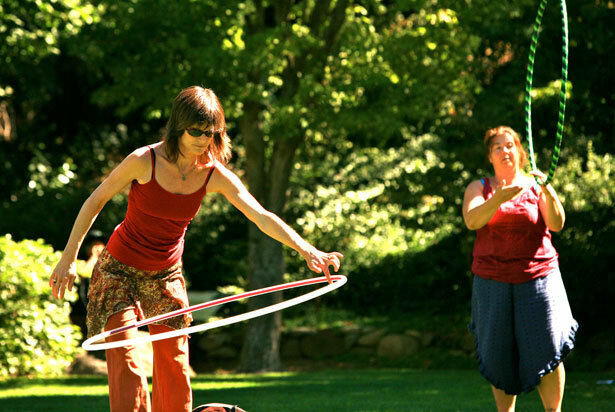 No previous dance or hooping experience required, only the willingness to have fun and explore. Hoops provided or bring your own. Please contact me for details about current offerings. 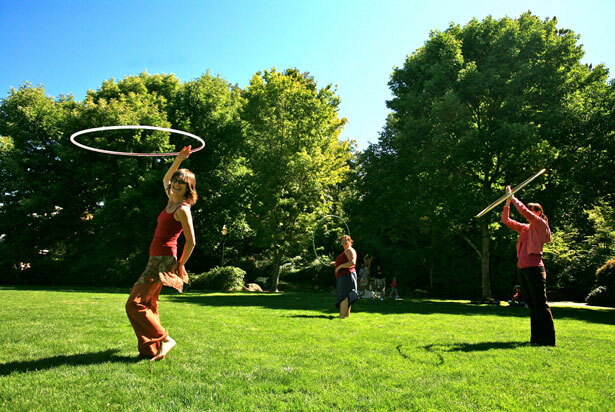 This is an open studio time filled with provocative music to inspire hoopers of all levels to increasing their freedom of expression, explore their relationship with the hoop, and hone their technique. Hoops provided, or bring your own. Please contact me for details about current offerings. 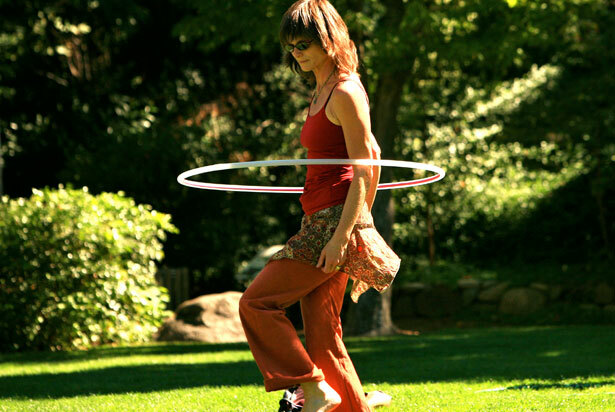 In my passion for hoopdancing, I have accumulated more than 20 hoops, which I love to share. 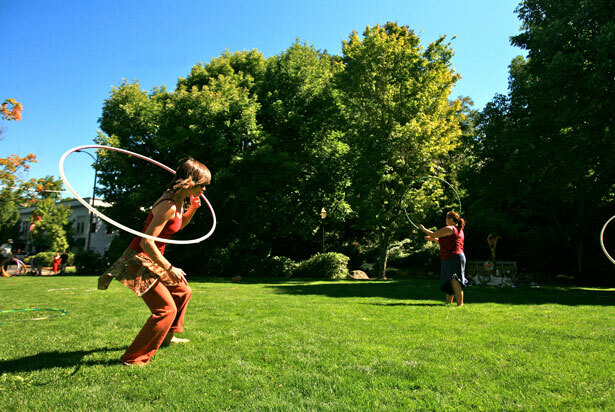 In addition to offering basic hoop instruction, I can also bring hoopdancing and music on a portable sound system to your parties and small events for a reasonable, negotiable fee. Embodied Knowing experiences are personal growth workshops I have developed to focus on such themes as embodying the divine, reconciling loss, reconnecting with essential self, and intimacy. Formatted as weekend workshops or series of three-hour mini-journeys, all are fueled by provocative music and grounded in carefully guided mindful movement.